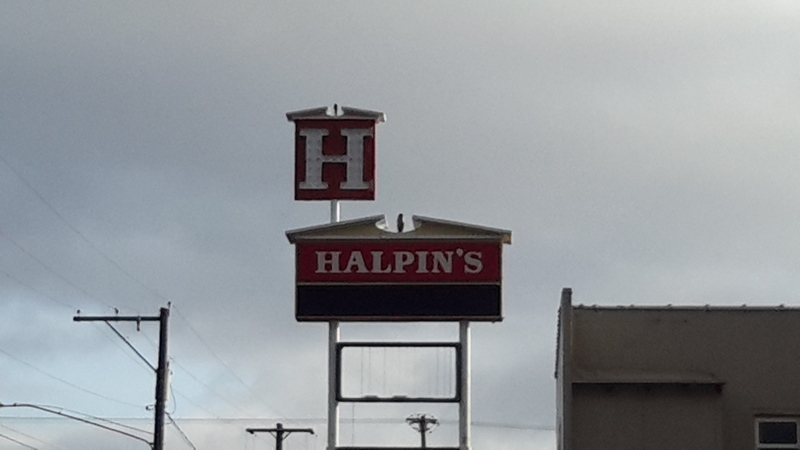 You would have to be about 70 years old to remember when Halpin’s was not located just west of Sprague and Bowdish since it has been there since 1949. I know that it has always been there for me and I was raised just up the road at Alki and Bowdish, until I was 7, in the same home I bought as an adult 20 years ago. I would guess that I have passed through the light at Sprague and Bowdish more than any other intersection on Earth. Actually I do not have to guess since we went up Bowdish to get to the family church each Sunday morning and Sunday night for the first seven years of my life. Just those 4 weekly trips added up to 208 and if you throw in the rest of the Vacation Bible Schools and other special occasions I was escorted to, they probably added up to 208,000. Between church and school, it seemed I spent most of my precious youth trying to stay awake or slyly slip in a nap as I was being taught hundreds of lessons that failed to captivate my attention. If that were not enough to make Sprague and Bowdish my most visited intersection for life by the time I was 7, my great grandparents lived a little further up the path at 12th and Bowdish. By the time I came along, Grampa Dean, a logger from Arkansas, was doing lighter work at Appleway Florist and Granny Dean seemed to always be babysitting me. 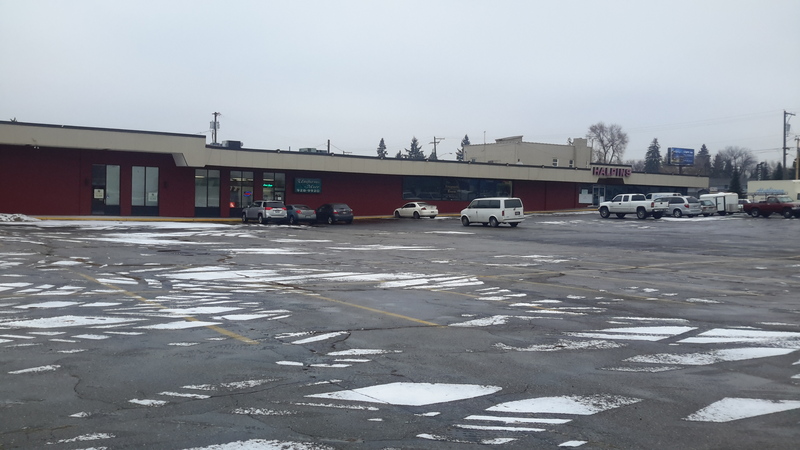 Probably the best and worst part about spending so many precious moments of my youth passing north and south through the Sprague and Bowdish intersection was the Dairy Queen located where the loan business is now. This was long before we had a Baskins and Robbins or anyone had ever heard of frogurt. Remembering how much I loved the Dilly Bars and Mr.Misty floats always made it the best intersection. Realizing we were not stopping to fulfill my fantasies, made it the worst. Always there just beyond the queen was Halpins, with its Treasure Room and its regal sign towering just below the massive red “H”. It was there the whole time of my youth and adult life. In the old days there were six independent drug stores, which slowly dropped off one by one until there was just one. For several years Halpins stood alone, the remaining mom and pop drugstore, though they craftily survived by also becoming a gift store. Times change as economics and advertising and the internet lead consumers in other directions. But when an old tree falls , it makes way for another to grow up. The one bright thing concerning the loss of Halpins is that the large and mostly empty building will not be empty for long, which seems to be the fate of an alarming number of buildings along Sprague over the past several years. Brad and Julie Markquart, who opened their first Complete Suite Furniture store in the Valley in 1998 have bought the building and are busy remodeling the old Halpins into their 7th retail location and the lower part of the building into warehouse space. Obviously, they are go-getters and I hope their success lasts at least as long as Halpins’, longer in fact. I root on all new business ventures but I also mourn the favorites a bit when they close and I try to remember the ones from the past. The people and places we love do not go on and on like the roads we travel to get to them. But at least there is some kind of comfort, though it goes unnoticed and unappreciated mostly, from travelling along the roads and through the intersections that were laid down long before my great-grandparents arrived in town, and will be here long after we are all gone. Brad Markquart is hoping to open Complete Suites here in February. I have to wonder how long the herd will continue to stampede Buffalo Wings Sports Bar and Restaurant that opened last month at the Valley Mall. Since this is the chain’s 455th place since 1983, I am assuming this not a flash in the pan, but I would think only a Times Square location could sustain what I have been seeing at our new B-Dubs. If this were a movie opening, it would be like James Cameron’s Titanic, riding high at the top of everyone’s list of must-see dining. I have been Buffalo-watching since they opened and have been astounded by the numbers that have flocked the place. During the first few weeks the wait at times was two hours long. I went in by myself once on a Sunday around noon and told the hostess I just wanted to sit at the bar, expecting her to let me pass and seat myself. Instead, she started taking down my name like she expected me to wait for the first available bar stool. I told her I am not a waiter when it comes to sitting alone at a bar and off I went down the road a bit. The next Sunday I went back earlier and I was able to get a spot at the bar. It was a first for me when the hostess escorted me to what turned out to be the last opening. I found it a bit embarrassing, like I needed any help finding a bar stool. Though I knew that I was there to research this blog, to the rest of the packed bar, which all seemed to turn and watch me following my young guide, it had to look a lot like I was drinking alone fairly early on a Sunday morning. That is something I prefer to be more stealth about. While I might have been sinning solo on a Sunday morning, there were a lot of others there skipping Sunday School to watch football as well. If you consider how popular this chain is and that the scene I was witnessing was being repeated 455 times across the nation, B-Dubs is responsible for a lot backsliding across America. It is a great place to relapse and relax with large-screen, high-def plasmas lining the walls broadcasting every N.F.L. game being played. Back to back jumbo screens in the center of the building separate the bar from the family dining area, which is only slightly bigger and only slightly less boisterous. Part of the appeal is the noise level which for a place to eat, B-Dubs is like being at the stadium live. If you are going there to have a nice quiet meal, go somewhere else. Likewise, if you are going there for really good food, go somewhere else. It is not that the food is bad, it is just that I find it very chain-esque, meaning it holds its own with Red Robbins and IHOP and all their nationwide rivals competing in the hunger game. Though they have a fine and full menu, it is a success story that came in on a wing if not prayer. I find it interesting that the Spokane Valley took so long to get our first B-Dub while distant outposts like Billings and Missoula have been enjoying their Buffaloes for a while now. Could it be that B-Dubs was buffaloed by, or perhaps just plain chicken of the established local wing slingers? Though I am not sure how healthy a chicken wing is, there does seem to be some healthy competition selling it. I believe Flaming Joe’s was the Valley’s first wing joint and from the start they have been a testament to the fact that the Valley loves its wing just as much as the next town. 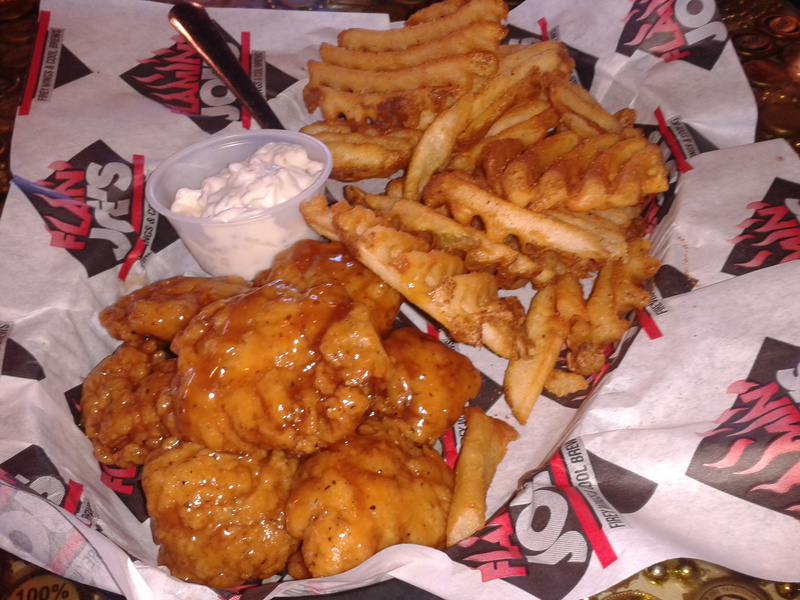 I have never been a fan of the vinegar-based buffalo flavor nor the heat when it comes to hot wings, but if a person feels different about these things, Flamin’ Joe’s has always had their wing. Apparently, more than some like it hot since Joe’s features eight increasingly hotter original buffalo sauces that peak at a sauce they call Code Red. I am a sweet and gooey kind of a guy and they have me amply covered with 18 different sauces. Elaine, on the other hand, is a dry rub kind of gal, only wingly speaking, of course, and they easily take care her kind of bird with 7 different versions. The Ref opened not long ago and proved that the Valley had a big enough appetite to fly two wing joints at the same time, though apparently our wing cravings had increased since a few years before when we let Wingers down at the Mall. 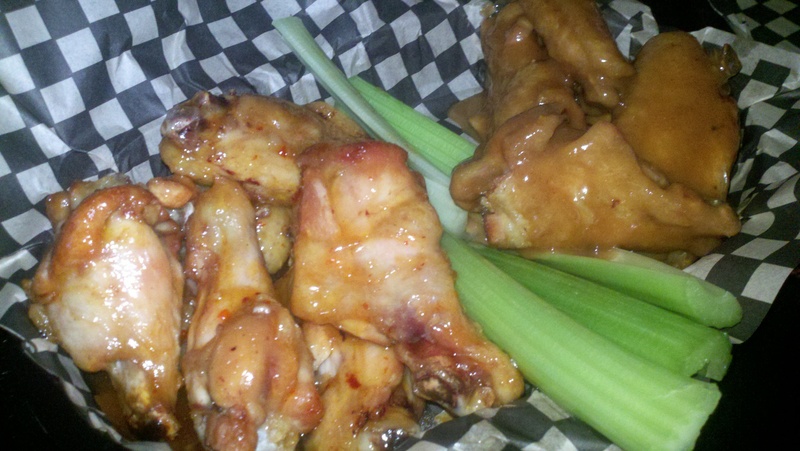 Unlike Wingers, but like Flaming Joe’s, The Ref is locally owned. Unlike Flaming Joe’s owner, The Ref’s owner Fred Lopez, has not been involved in any federal sting operations and has been on a tear opening the Roadhouse country night club, the Black Wolf gaming center and is now remodeling The old Moose Lodge just off Francis into a country night club and concert hall after opening The Ref. The night to try one of his 31 flavors is Wednesday when they sell them for 65 cents apiece. They are great wings and I am sure they sell a lot of them but I can’t be sure because on that night I am at Boston’s where they sell wings in the bar for only 35 cents. They have been doing it for years and it is not a very well-kept secret. It is elbow to elbow, as the ravenous, heaving crowd pile up gleaned and cleaned wing bones, going through yards of napkins, attempting to keep the sauce from oozing past their own elbows and onto the elbows of their neighbors. Though you could never tell it by the Wednesday night crowd at Boston’s, I would guess that the Buffalo has sucked a lot of wing lovers from the Ref and Joe’s and Boston’s, with which it shares the parking lot. Like all types of food enthusiasts, Buffalo wing enthusiasts tend to roam when something bigger and better and more boisterous comes to town. I root for B-Dubs and the army of young servers and cooks they have put to work, but at the same time I am partial to the wing status quo. Hopefully, the Valley is up to the task of eating our way to the success yet another wing eatery. Judging by our overall slowly but steadily increasing average weight, it is likely that we are up to the task. 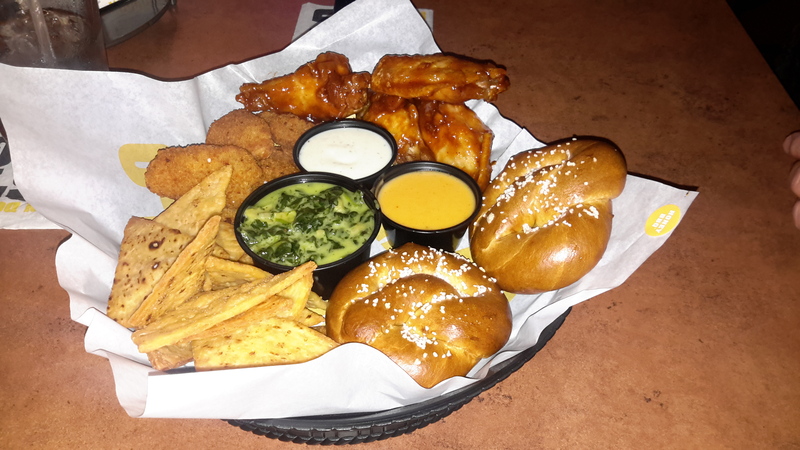 These are the wings from B-Dubs and these are how they serve them. Elaine did not like eating out of paper boats though she did like their wings. The Refs wings are dang good. Afreind of mine from New York who has been eating wings since they were invented in Buffalo thinks these are about the best in the Valley. While The Ref’s taste may compare with Boston’s wings, their Wednesday night price of 65 cents a wing does not stack up next to Boston’s 35 cents. Elaine and I can gnaw our way through about 20 of these. That’s $7. Flamin’ Joes has a lot of good grub. I like the waffle fries they serve with their wings. My advice for you when dining at B-Dubs is to stick to the well-worn path. Daring to try other items beyond their tried and true wings could lead to disaster. This Tailgater Sampler looked interesting but tasted not so much so. All three dips were bland and tasted watered down. When Elaine told the mananger who ecame by and enthusiastically inquired how much we like the food, he replied they never watered anyhthing down because it all came prepackaged. Maybe that is the problem. 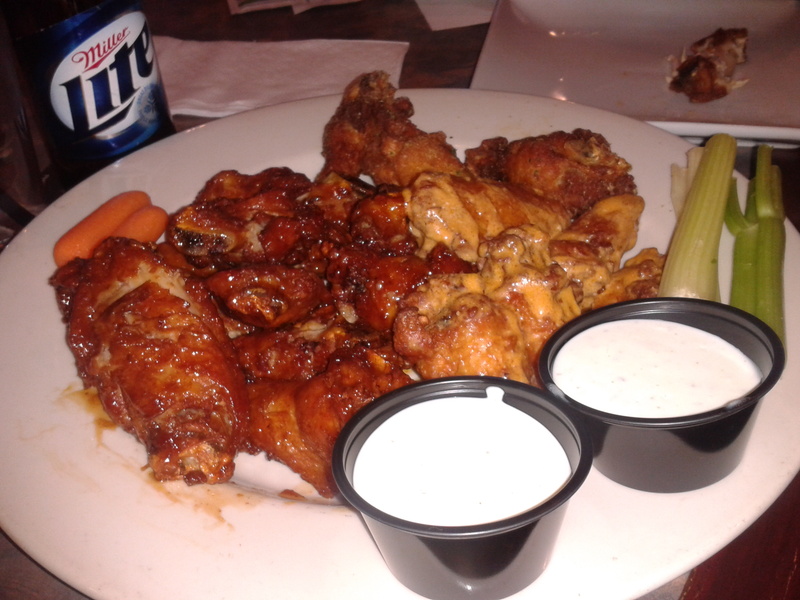 But the wings on the sampler were quite tastey.